Over the last few years of visiting the Jewell Meadows Wildlife Area, I have often spotted a blonde elk. The first time it was a calf. Now it’s a full grown, mature Roosevelt Elk cow. 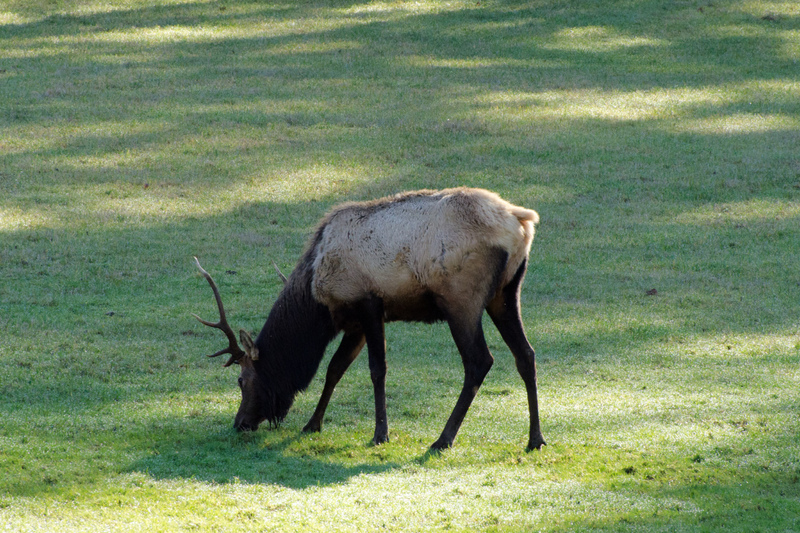 Jewell is a series of open pastures offering good views of up to 200 Elk during winter and spring. In late January I returned on a very sunny, warm day. 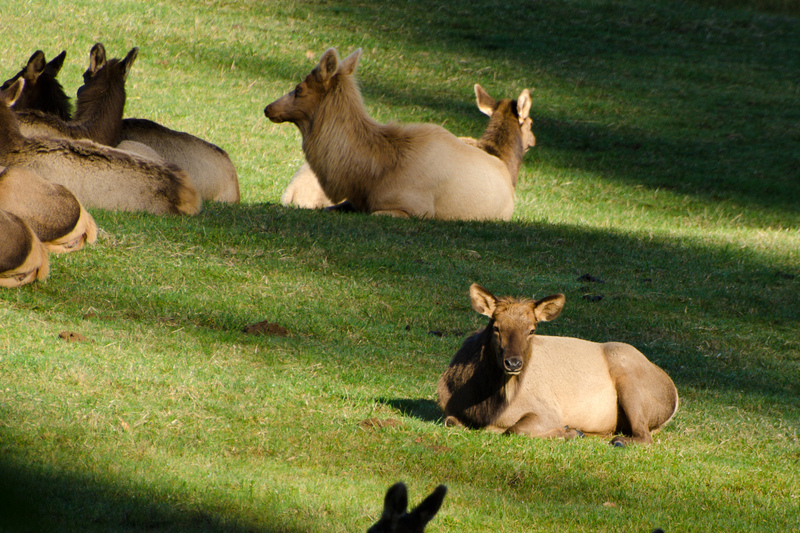 The Elk were enjoying the sunshine. And, sure enough, my blonde elk was clearly visible in one of the pastures. She made my day. 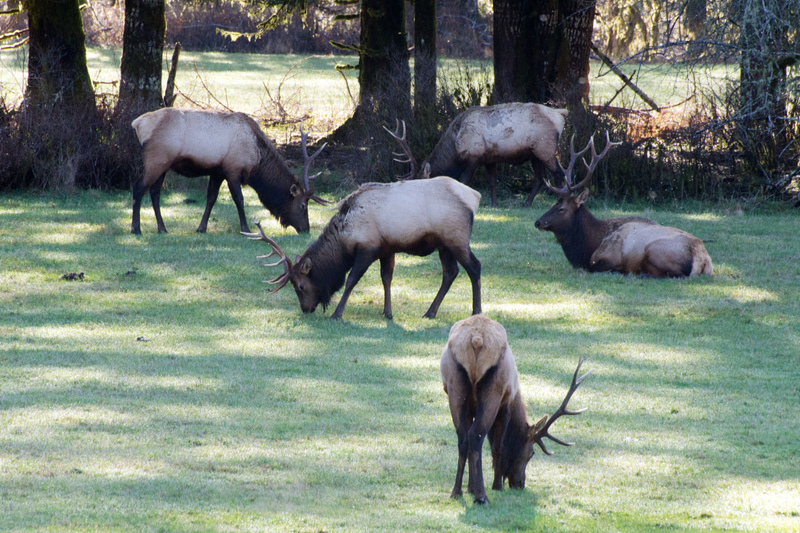 Wow, love the Elk pictures. We have several that wander through our back yard. Had an old 6 point that spent the winter close to our place with his lady friend keeping him company about three years ago. 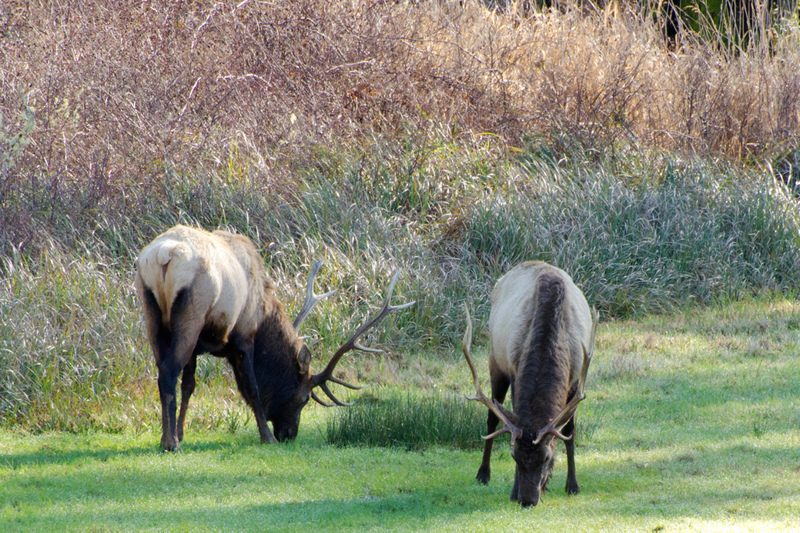 Such a great site for you to be able to see the blonde elk again. Elk are one of my favorites. I hope to see quite a few while I do some spring bear hunting over the next few weeks.